Many call centers rely on scripts so representatives know what to do when customers call with problems. Which is fine, it’s not like people actually expect a flock of experts waiting to provide their own spin on a situation. But using a script can turn a resource into a source of confusion if the call center reps are reading off the wrong script. We’re looking at you, Healthcare.gov. 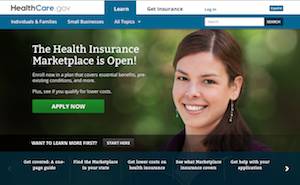 The site is handling healthcare enrollment for 36 states as part of the Affordable Care Act, and has seen its share of hiccups and glitches since it launched last week. But this week callers faced another issue — many were told when the rang the call center that they had to reset their passwords. Officials from the U.S. Department of Health and Human Services say no one has to reset passwords, it’s just that call center reps weren’t given the right information, reports CNN.com. While that source says only callers who rang this morning were given the wrong info, ArsTechnica reported as early as Tuesday that consumers were told to reset their passwords in an effort to fix some of the site’s myriad technical issues. As of today, however, another HHS official told CNN that consumers can continue to use their current passwords. For an additional resource to help guide your way through the ins and outs of the healthcare law, check out the Health Law Helper from our benevolent benefactors at Consumer Reports by clicking here.